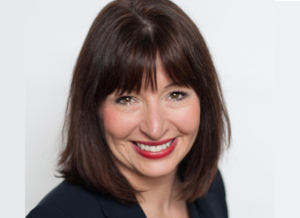 Diana Dawson started her career coaching business, Working Career in Edinburgh, Scotland, in 2002 and uses the Highlands Ability Battery (HAB) to give clients the confidence and direction to further develop their careers, something she needed at one time herself. Diana’s first degree was in Psychology, but, as she puts it, she got sidetracked at a logistics and supply chain company and then later as a buyer for a large retail organization. After seven years, she re-calculated her career and moved into a recruitment position. She did enjoy this new work but still felt something was missing. So she retrained in career counseling and occupational psychology by earning her MSc in Career Counseling and Career Management from the University of London, followed by an MSc in Occupational Psychology. So, she started Working Career to empower clients to develop their careers further and give them the tools necessary to make positive career changes. Diana discovered that many clients found it difficult to move on without some concrete measure of their strengths and abilities. She then began a search for a solution and found it in The Highlands Company. Working Career has programs that look at some of the core factors that affect career satisfaction like experiences, abilities, and personality traits. The HAB then provides information on these areas and allows Diana to work on career ideas and action plans with the client. Working Career has also used the HAB for leadership and team development. In leadership workshops, the HAB works to facilitate self-understanding so the individuals can better set career goals. Something we here at Highlands value, too. Why Diana Chooses The Highlands Ability Battery? Diana has used the Myers-Briggs Personality Type Indicator with clients in the past but found that it is subjective, while the HAB is more objective. The HAB sometimes results in clients discovering hidden abilities that they can then experiment with. 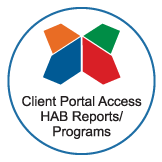 Results provided by the HAB allow clients to understand why previous work has been difficult and then illuminates the path towards finding more fulfilling work. To learn more about Diana and Working Career in Edinburgh, Scotland, visit her website at workingcareer.co.uk.